St Paddy’s day is a time that people celebrate getting really drunk and not having to worry about any negative social stigma. However, since our goal is weight loss here I want to focus on the part of St paddy’s day that is lost, traditional St. Patrick’s day food. Irish food is great and it can be done in a really healthy way and still remain delicious. Today’s Irish food came from Ancient Celtic recipes. Most focused around the potato and of course fish! Fish works really well with weight loss. It is light, contains little to no fat, it is high in protein and you can eat a lot of it without any consequences. 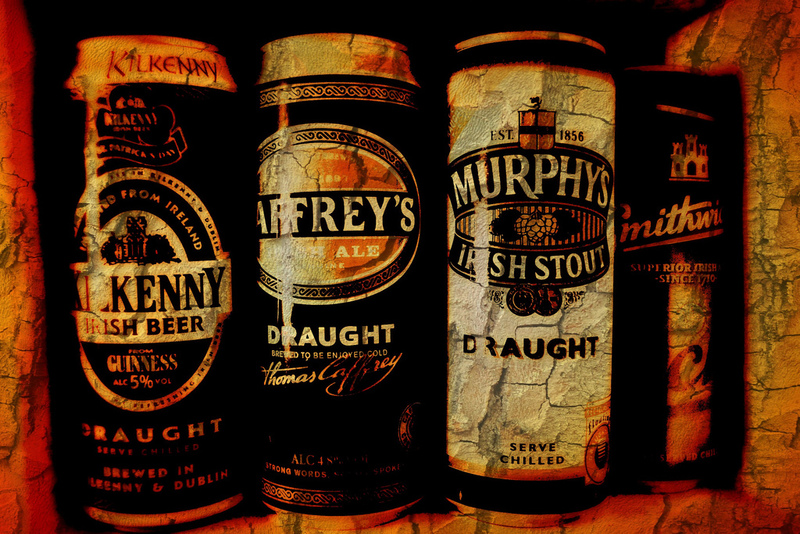 Traditional St Patrick days food come directly from the old Celtic recipes. Obviously the potatoes are loaded with empty calories but I have a way to make them diet friendly too. Another Irish Favorite is lamb; it has been an essential part of the Irish diet for centuries. Lambs were a sacred animal in old Celtic belief. The old Celtic diet consisted of just fish and potatoes (this is why fish and chips is still so popular). Tax on Ireland. This left Ireland with less than enough food to feed their people. People both Celtic and English [settlers] were dying from starvation, the people had to find a new source of food, so they began to eat the lambs which were once sacred. Fish and Chips – An Irish Classic, in the original recipe fish is battered, deep fried and served with mash potatoes. In the healthy version; skip the batter, season with salt, pepper, garlic and cumin, bake the fish and mash the potatoes. Colcannon – This one is already healthy so no alterations are required. Boil cabbage, chop and blend. Boil and mash potatoes. Blend Cabbage and potatoes together (while warm). Add: chopped leeks, salt, pepper, garlic and butter. 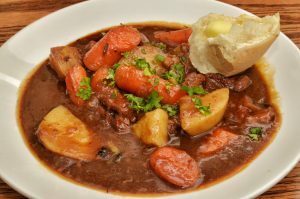 Irish Stew – simple, easy, healthy and great for a cold day. Just throw all your stew ingredients into a crook pot and let them cook for the day. Eat later when you are hungry. Fried Cabbage – Cabbage friend in a sauce pan with a little olive oil on the top. If you do not go too heavy on the olive oil, this will come out just fine. Leek Soup – Put soup in a cracked bowl, watch soup leek out.